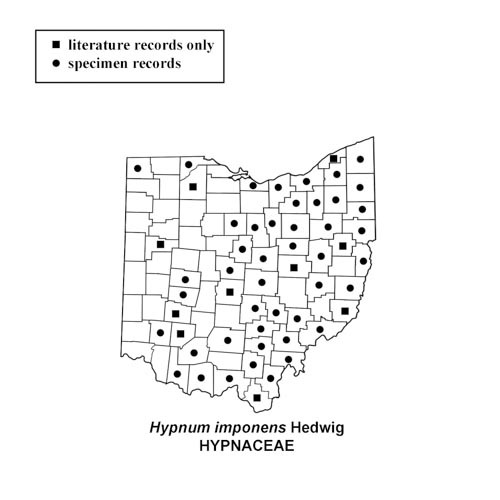 Hypnum imponens at Conkles Hollow State Nature Preserve, Hocking County, Ohio. 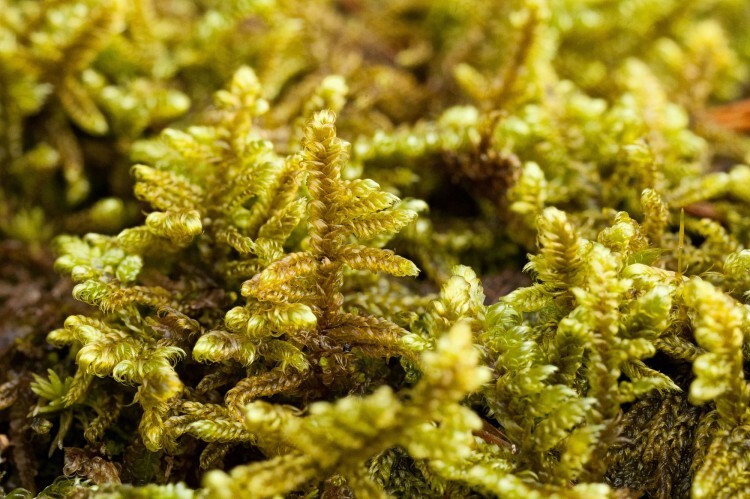 How to recognize feather moss: The genus Hypnum consists of medium-sized to large, pinnately branched pleurocarps (carpet mosses) with leaves that are distinctly falcate-secund, i.e., sickle shaped and swept to to the sides of the stems and branches. Thus they have a somewhat feather-like aspect. 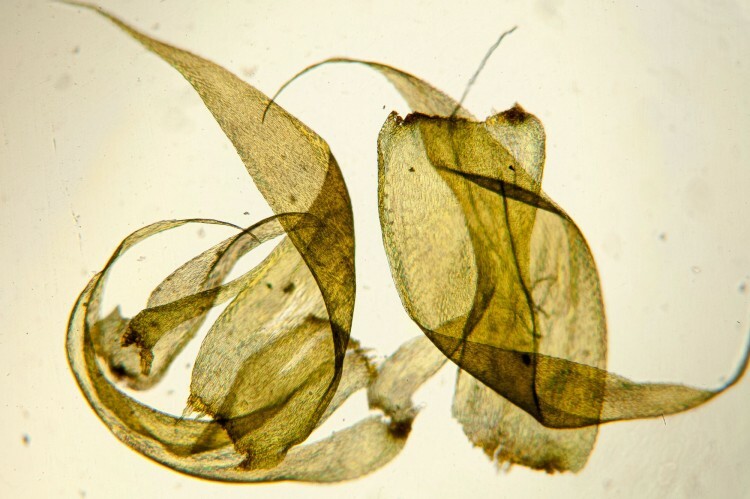 Through the microscope, the leaves of Hypnum imponens are seen to be gradually rounded at the corners (in contrast to the more abruptly rounded H. curvifolium) and the alar cells are rather thick-walled and orange. 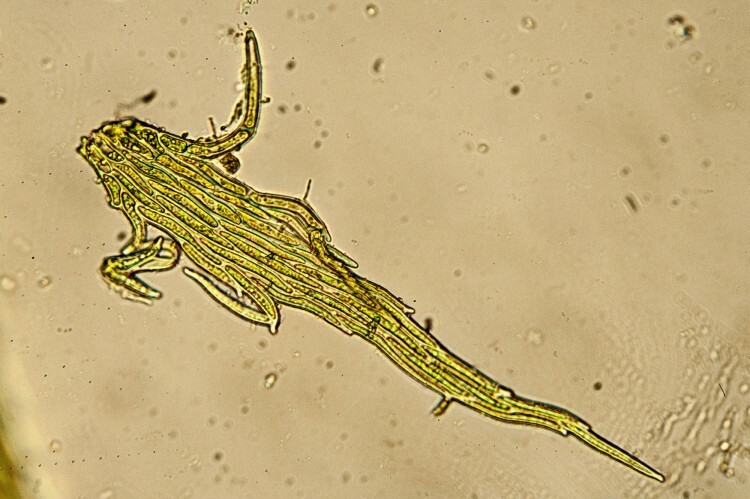 The pseudoparaphyllia (tiny leaf-like appendages occurring in whorls at the base of the each branch) are deeply incised (unlike the short and simple paraphyllia of H. curvifolium). The outer cells of the stem are all small and thick-walled. 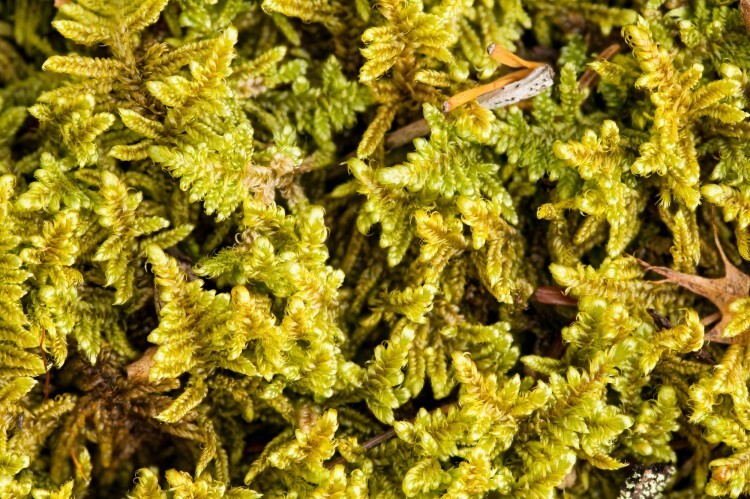 Where to find feather moss: Hypnum imponens is “feather moss.” It forms dense mats on logs and also on thin soil over acidic rocks. It is fairly common in Ohio.